New to lacrosse? No problem - start at ANY level with the Trojans! Trojans Lacrosse is for Boys 1st-8th grade and Girls 3rd-8th grade. Practices are during the week and games on weekend. Girls generally practice 2x a week on Tuesdays and Thursdays at 5:30PM and boys practice 2 times a week on Mondays and Wednesdays around 5PM for 3-6 grade and then 3x (+Friday) a week for 7/8 grade. Practices occur in NW Hills primarily at Murchison fields and the JCC. Boys practice start late January with Games till early May. No practices the week of spring break. Girls practices start mid February with games between February and April with a tournament early May. No practices the week of spring break. Check out our Boys Equipment and Girls Equipment pages to find out what you need to start playing lacrosse. 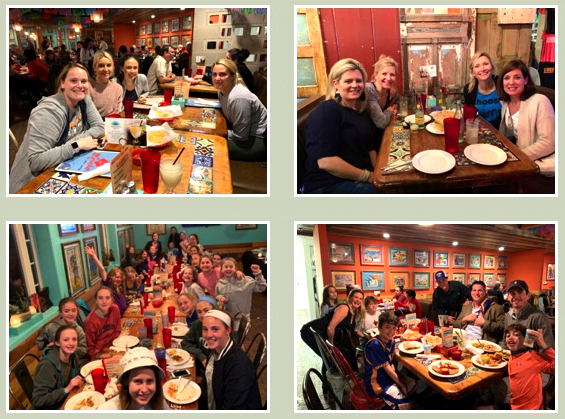 THANK YOU TO ALL WHO GAME OUT FOR OUR 2019 SEASON KICK-OFF DINNER AT LA MANCHA! 2019 SPRING SEASON REGISTRATION IS CLOSED. PLEASE JOIN OUR MAILING LIST FOR INFO ON OUR 2020 SEASON.